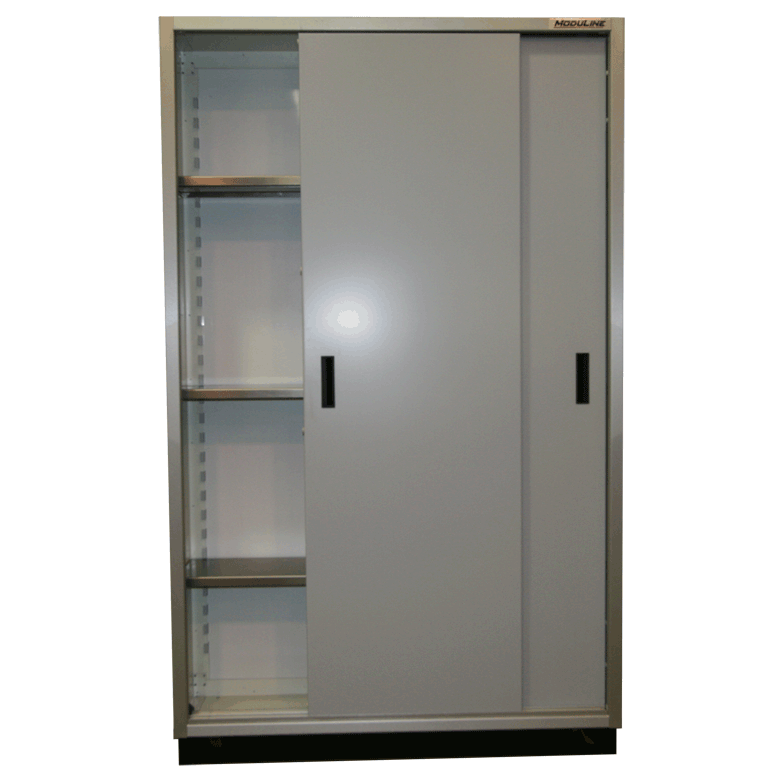 One adjustable shelf included with every space saver sliding door cabinet. 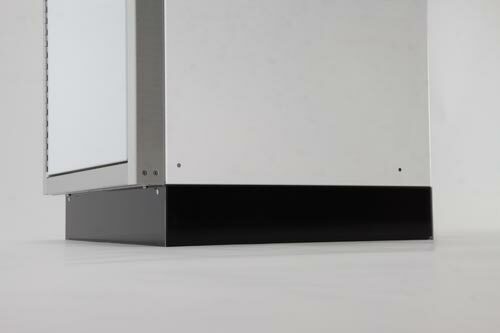 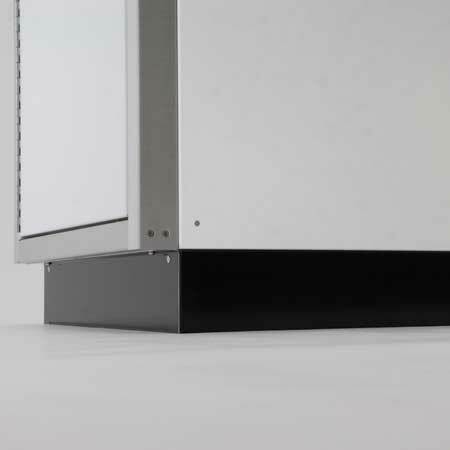 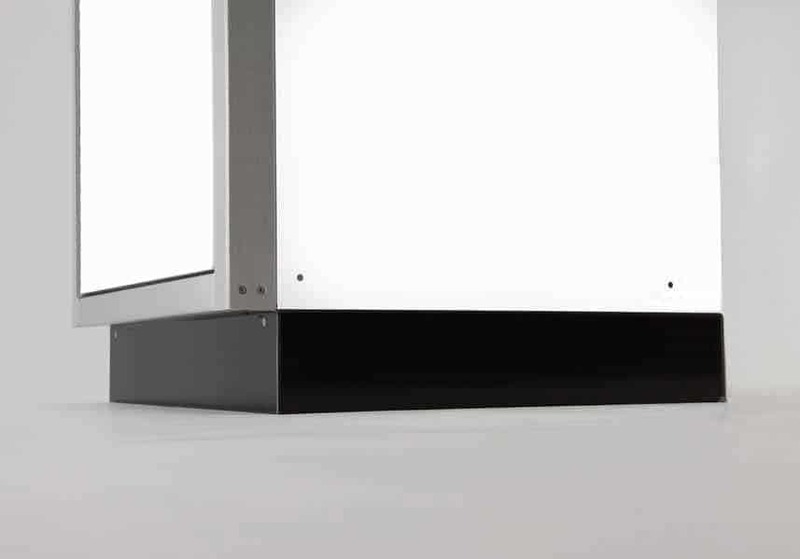 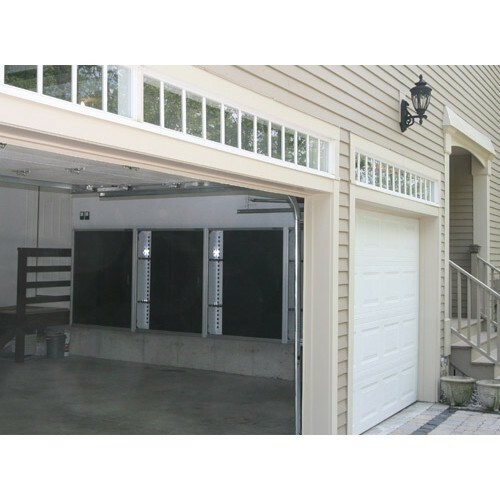 Doors are double wall construction, with inner-hat-bracing for maximum strength and rigidity. 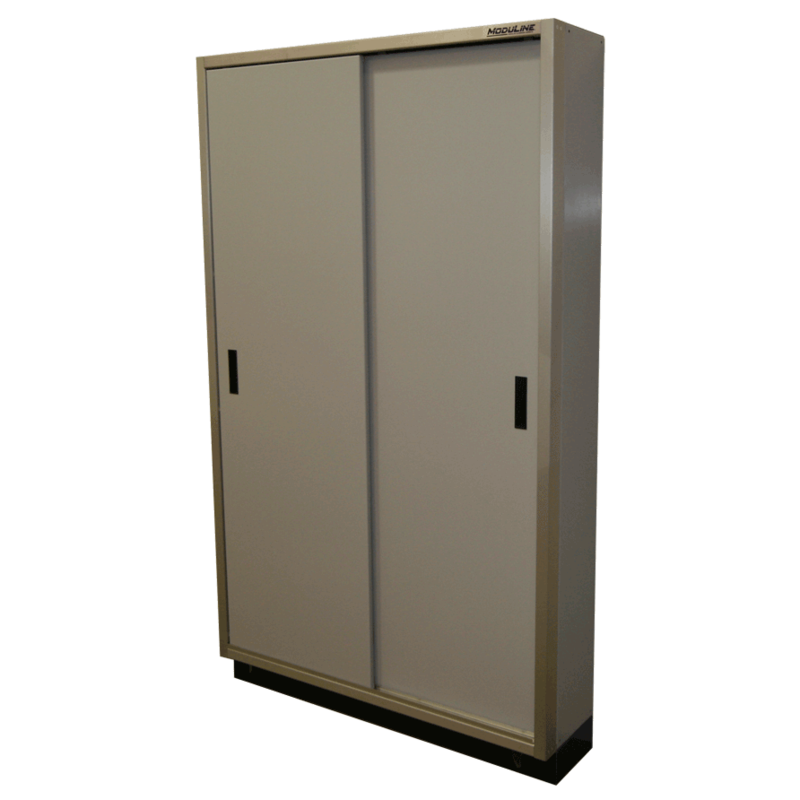 Doors are manufactured using .063″ thick premium aluminum outside and .040″ thick premium aluminum on inner panels. 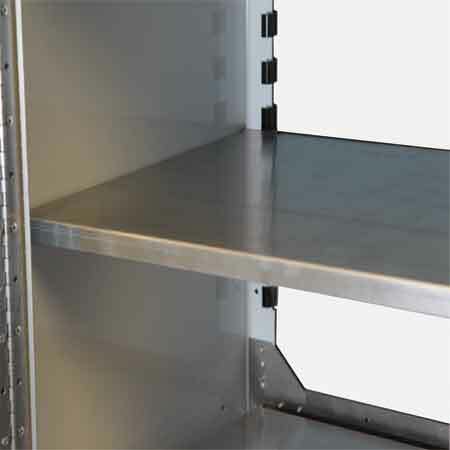 Recessed handle and heavy duty roller slides for smooth operation. 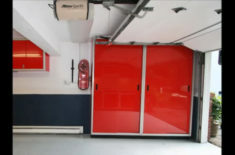 Perfect way to add storage cabinets on side of garages and still open doors when vehicles are parked.